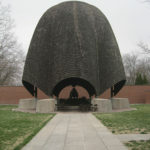 Historic landmarks and important engineers are frequent topics of this blog. I believe that modern engineers can learn a lot from our predecessors. Their historic accomplishments are all the more remarkable in light of limited resources and technology. Ingenuity was not in short supply. While many previous posts have remarked on European sites, that selection is merely a reflection of my travels. All corners of the globe exhibit the remains of ancient engineering, including present day United States. 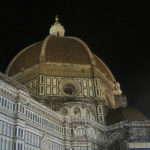 The UNESCO world heritage sites are something of a bucket list for civil engineers. The Cahokia Mounds located in southwestern Illinois and Mesa Verde National park in Colorado are two such sites demonstrate the capacity of native civilizations and their engineers to settle large cities. However, before European exploration of the New World both civilizations disbanded. The demise of the settlements remains a mystery although their ruins remain. Whether due to climate change, political discord, or military incursion, the challenges faced by these settlers is informative to our own nation building. Following the 2010 ASCE National Conference, I drove to Denver. Along the way, we explored the Hoover Dam, Grand Canyon, and Mesa Verde. Misjudging the travel times in the expansive West, we pulled up to the gates of Mesa Verde National Park only a few hours before closing (off-season hours). I had not realized that the famous cliff dwellings were located about 45 minutes into the park, which encompasses the beautiful Mesa Verde plateau. 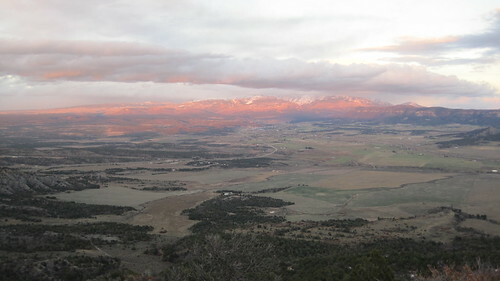 The views are spectacular from the high mesa. One might imagine the ancient settlers choosing the location for the vistas alone, though surely there are great defensive advantages as well. Early permanent residents of Mesa Verde are thought to have occupied the top of the plateau first. Pottery fragments indicate that civilization was thriving as early as 500 CE. The Ancestral Puebloans later carved out better-protected dwellings in the cliff faces of the mesa and disappeared mysteriously around the 1300s. Approximately 600 dwellings have been identified throughout the park. Of these, the Cliff Palace is the most well known. We arrived at the rendezvous point just in time to embark on the last Cliff Palace tour of the day. 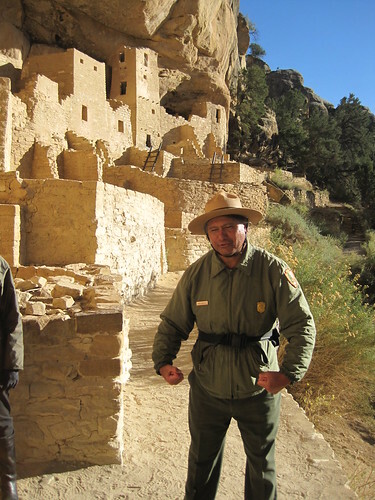 Our tour guide was a park ranger and Native American, quite a character I might add. He was quick to point out misconceptions about the Ancestral Pueblo people (such as the misnomer Anasazi, which is a somewhat derogatory Navajo term meaning “enemy ancestors”) while also emphasizing the real day-to-day life of the original inhabitants of the dwelling. After a brief overview (and brief confusion as to whether the gate to the trail was locked) we descended along a narrow trail to the Cliff Palace. There are and were only two means of access – by design for protection. Although the guidebooks cautioned about the strenuousness of the hike, my then-pregnant wife easily made the climb up several ladders. Upon reaching the Cliff Palace ledge, the guide asked who would be interested in descending down to the river at the bottom of the ravine to fetch the day’s water. Seeing no volunteers he also pointed out that the rock above was carved to collect any water that might run down the cliff face into cisterns for daily use – though that supply was unreliable. The location of the cliff dwelling had both advantages and disadvantages. 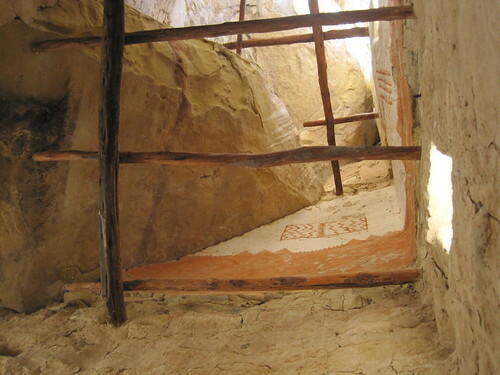 Today archeologists can identify around 150 rooms and 23 kivas. A Kiva is a subterranean room used for ceremonial purposes. However, given the numbers of kivas construction, they probably also served practical purposes for the Cliff Palace residents, such as providing a well insulated public space for communal activities. 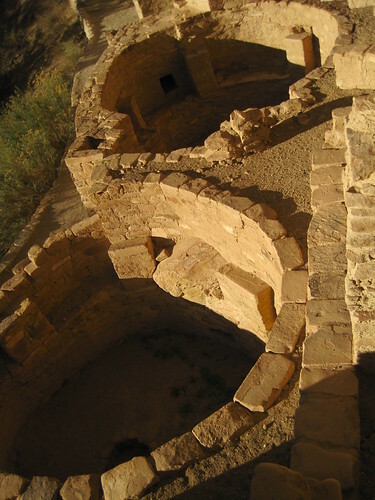 Much of the Ancestral Puebloans’ building designs were predicated on the need to conserve heat in the winter and shelter from direct sun in the summer. Doors and windows are small. Dwellings on the surface of the plateau were partially dug down. These designers followed basic design conventions for energy efficiency that are just now coming back into fashion. The structures in the Cliff Palace are partially cut into ravine walls, however a majority of the spaces are masonry construction. Bricks were fashioned from sandstone blocks found near the riverbed. The mortar was a mixture of local soil, water and ash. Small chinking stones filled gaps in the mortar and provided additional strength to the walls. Floors were constructed with wood beams, and some of these members are preserved to this day. By the 1200s the civilization had reached its apogee. Agricultural techniques had advanced on the mesa top and pottery was thriving. However, citizens began to move their dwellings into the cliff faces which offered protection but many more inconveniences. 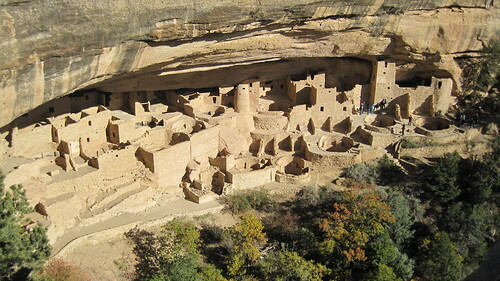 Then suddenly (probably not over night), people began to move away from Mesa Verde. Later generations banded together in smaller tribes but retained some of the common culture. Today, several tribes still trace their ancestry to the settlements on the plateau. Additional resources used to create this post.